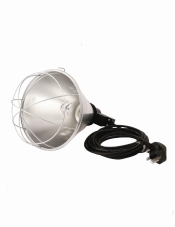 Infra Red Lamp Assembly Standard. With fitting, aluminium reflector with 8 air vents and 5m cable. No Bulb.